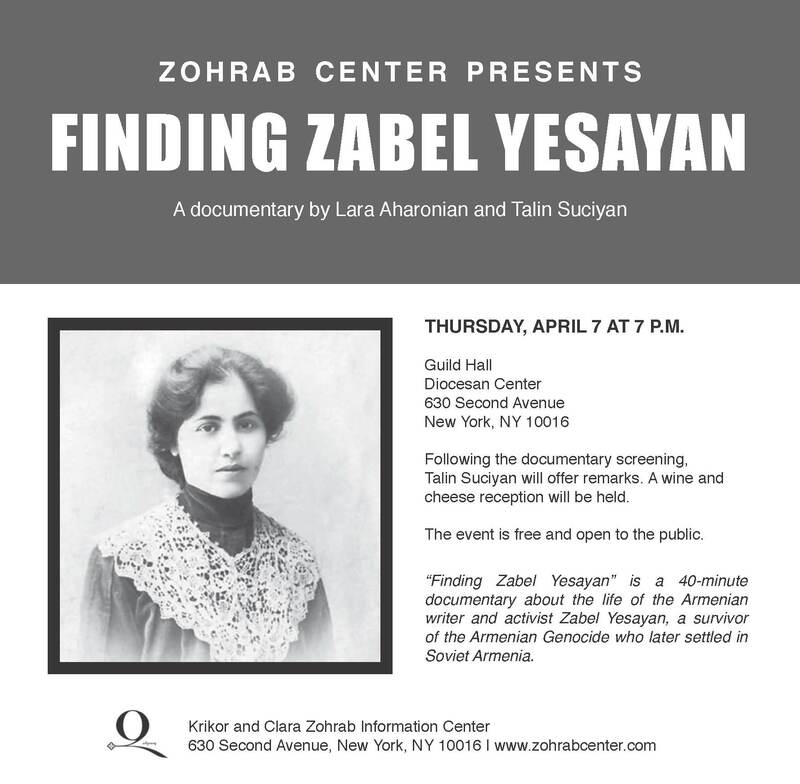 The Zohrab Center will present “Finding Zabel Yesayan” on Thursday, April 7 at 7 pm in Guild Hall of the Diocesan Center. The 40 minute documentary, by Lara Aharonian and Talin Suciyan, is about the life of the talented Armenian writer and activist Zabel Yesayan. Following the screening, Talin Suciyan will be on hand to offer remarks and a wine and cheese reception will be held. This event is free and open to the public. Is the film available in internet?